Sapphire were enlisted to provide almost 600 balconies for Blocks B1, B2 & B3 across phase 6, 7 & 8 of the overall masterplan. 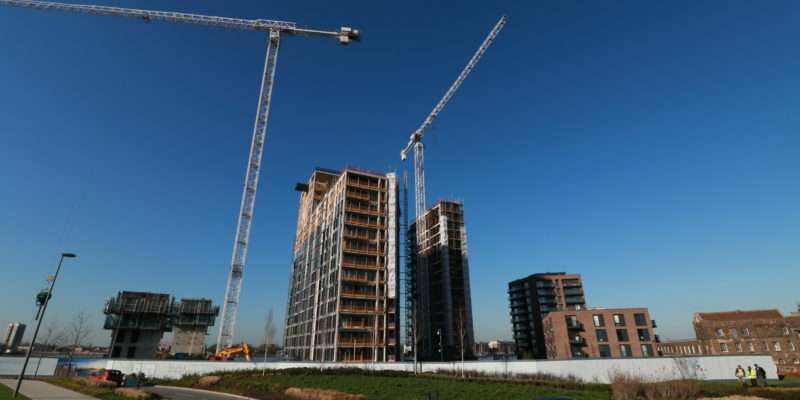 Royal Arsenal is a large, multi-phased development currently being built in the heart of Woolwich. Amongst those behind the design of the Berkeley owned site, EPR Architects were procured for their valuable services across the various blocks. Sapphire were enlisted to provide almost 600 balconies for Blocks B1, B2 & B3 across phase 6, 7 & 8 of the overall masterplan. It was apparent early in the process, that the design of buildings B2 & B3 ensued in tolerances that were extremely tight. Further to this, the original requested design presented both thermal & drainageissues. Challenges that Sapphire were ready to accept. 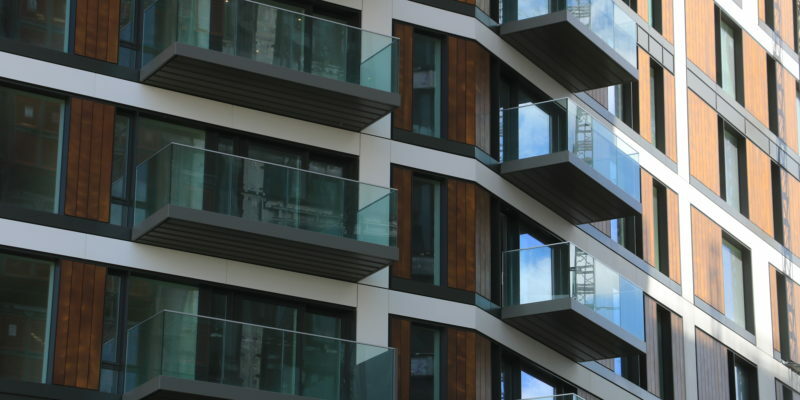 The sleek Royal Arsenal buildings utilised Sapphire’s projecting Glide-On™ Cassette balconies, enhancing the overall look of the project. Alumet the façade contractors, were selected to install the balconies. 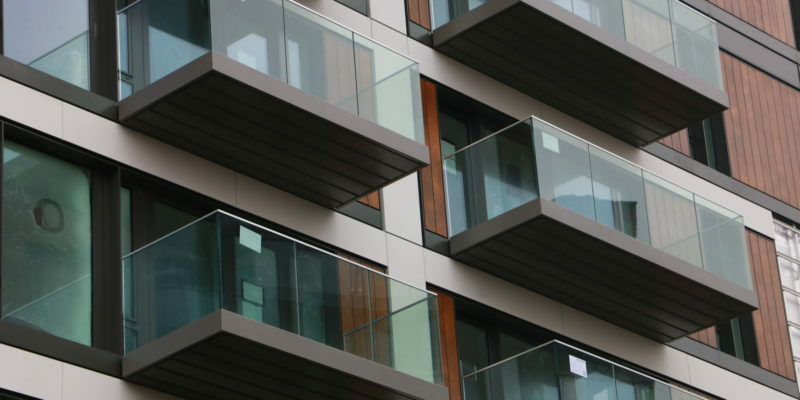 Prior to installation, Sapphire worked closely with Alumet, providing training, guidance and support to enable the efficient and careful fitting of all balconies. Additionally, divider/privacy screens were provided for the ground floor apartments. The tight tolerances required on this project, increased the difficulty of the overall installation as well as the risk of misalignment against the façade. 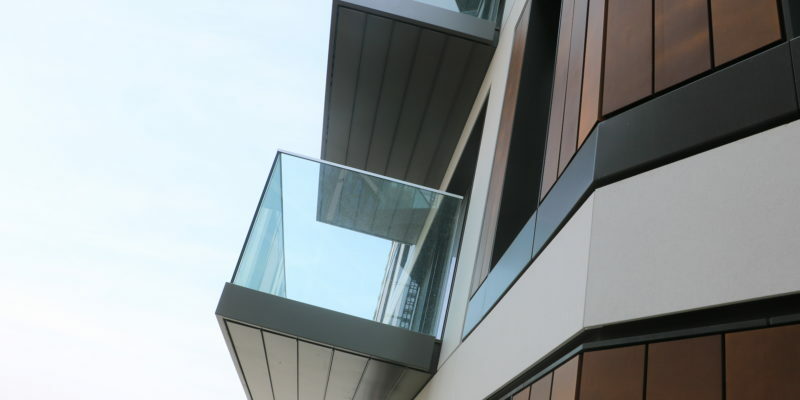 Sapphire assisted with the balcony design & carefully constructed extra thin Glide-On™ Cassette’s to tackle the issues – enabling their simplistic installation ethos to persevere. 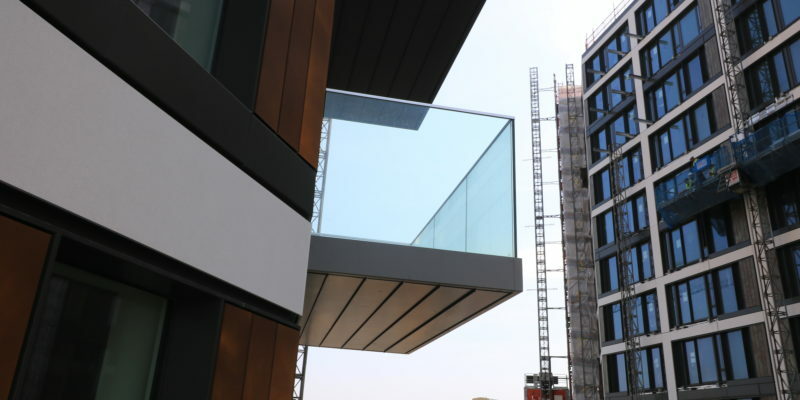 The preassembled balconies were delivered to site & fitted onto the pre-erected support arms, guaranteeing rigidity and resulting in balconies that were installed Rigid. Ready. Right. Step 1: Cast in anchors were cast into the slab & incorporated thermal break connections offering superior rigidity to the balconies. 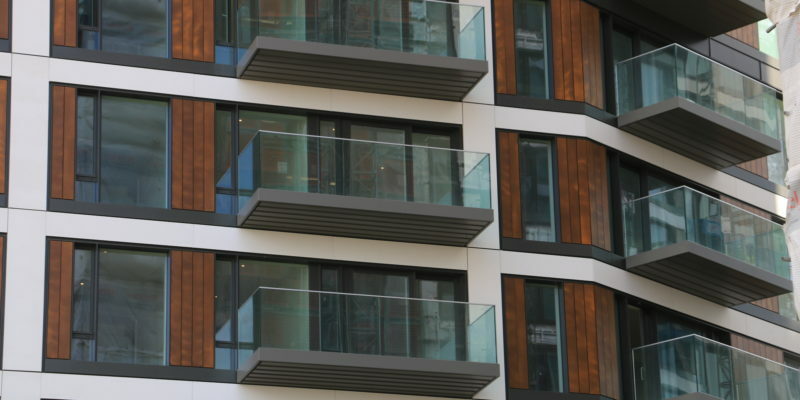 Step 2: Cassette® balconies were preassembled offsite, including the lights, balustrades, decking & soffits. 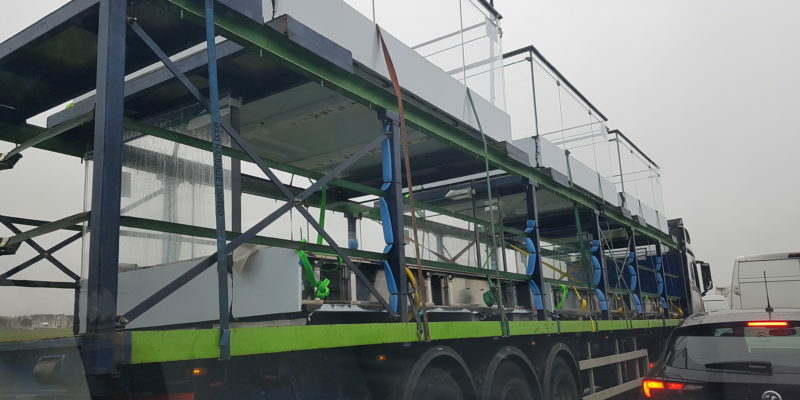 Step 3: Cassette® balconies were transported with balconies ‘nested’ onto each pallet making transport both cost effective & safe. 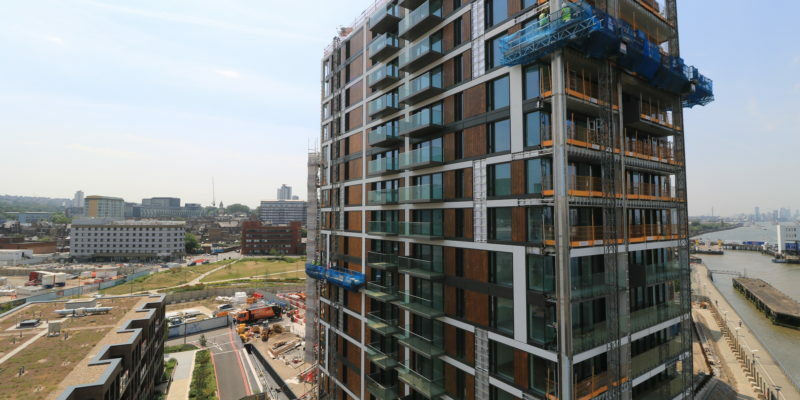 Balconies were pre-slung offsite ready for installation upon arrival. Step 4: Once lifted into position, the Cassettes® simply Glide-On™ to the pre-erected support arms, before completing the simple mechanical fixings. Simple electrical connections completed soon after by subcontracted electricians.